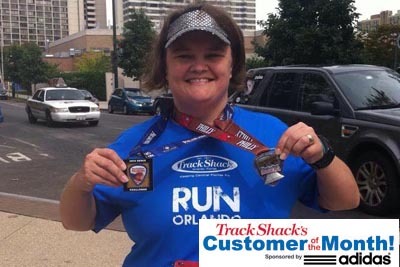 Track Shack - March: Is Central Florida’s running scene a great place to meet potential dates or a mate? Why? 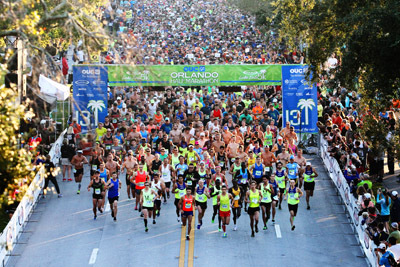 Is Central Florida’s running scene a great place to meet potential dates or a mate? Why? Stretching is essential to healthy running. 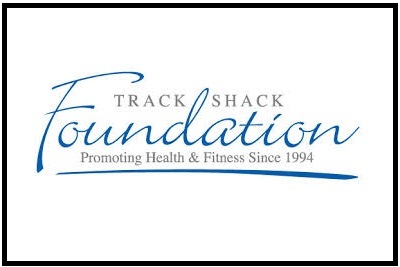 Our February Customer of the Month, Chasity Brannon, recently starting to experience IT band issues. Her favorite stretch is a hip and lower back stretch where you sit on the ground with your legs crossed. Lift your right leg and cross it over the left, which should remain bent. Hug the right leg to your chest and twist the trunk of your body to look over your right shoulder. Change legs and repeat. Another great one is to lie on your side with both legs bent in running position. Bring the bottom leg toward your chest and then bring the top one back toward your buttocks, so that the running position of your legs is exaggerated as possible. Hold for 30 seconds then flip sides and repeat.